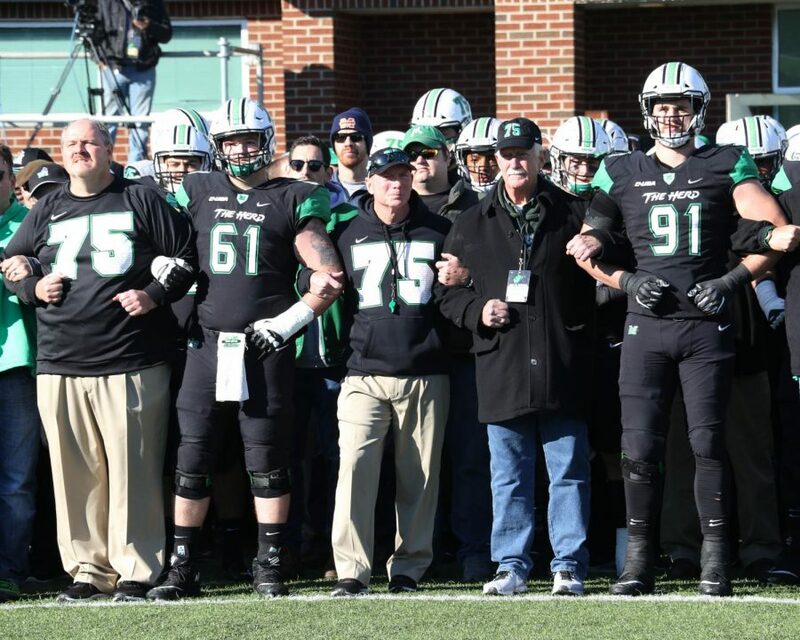 Marshall head coach Doc Holliday stands arm-and-arm with current and former players to honor the 75 who died in the 1970 plane crash. 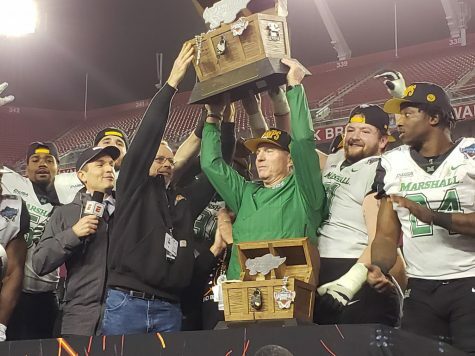 The Herd honors the 75 every year at home games. 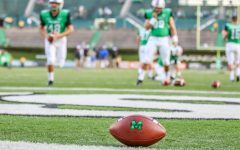 The Marshall football team scored 17 unanswered third quarter points Saturday to defeat the Charlotte 49ers 30-13 at Joan C. Edwards Stadium. 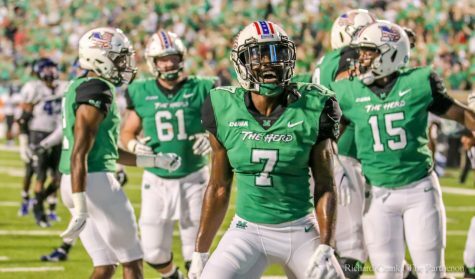 With the win, the Herd improved to 6-3 (4-2 Conference USA), and Charlotte moved to 4-6 (3-3 C-USA). 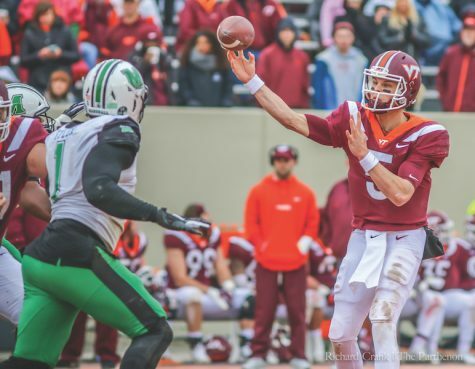 Charlotte scored on its first possession with a one-yard touchdown run by graduate-transfer quarterback Evan Shirreffs. The point after attempt was good and put the 49ers up first 7-0. 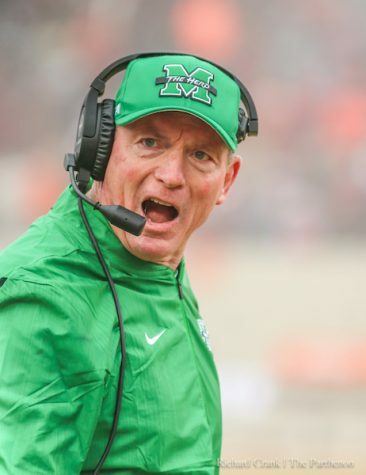 Marshall answered with five minutes to play in the first quarter with a 23-yard field goal made by redshirt junior kicker Justin Rohrwasser to make the score 7-3. 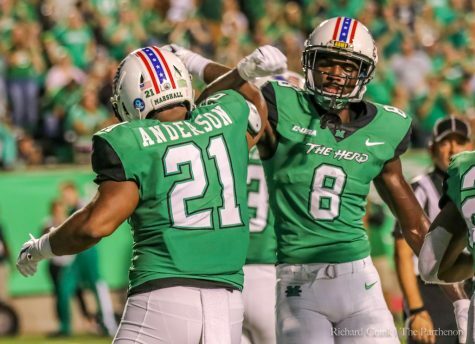 Marshall took the 10-7 lead with three minutes left in the first quarter after a one-yard rushing touchdown by redshirt senior running back Anthony Anderson. 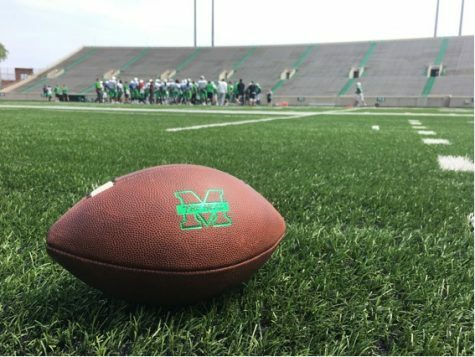 The play was a result of a blocked punt by Marshall’s redshirt freshman defensive end Darius Hodge, which was recovered by the Herd on the one-yard line. The Herd extended its lead in the second quarter 13-7, after a 33-yard field goal made by Rohrwasser. Right before halftime, Charlotte answered with a 40-yard field goal of its own by freshman kicker Jonathan Cruz to make the score 13-10. 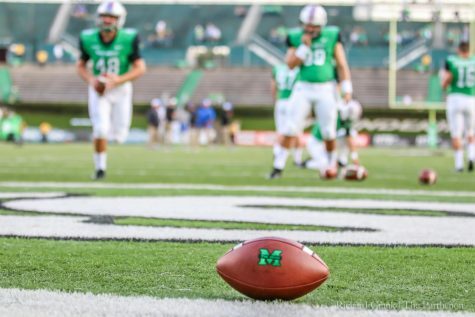 The second half started with a Marshall turnover. On a run around the left, Anderson fumbled and the ball was recovered by Charlotte senior defensive back, Ed Rolle. The fumble ultimately resulted in a 49ers 35-yard field goal by Cruz to tie the game at 13. 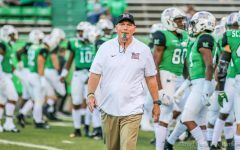 Marshall re-established the lead, 20-13, after a four-yard touchdown run by redshirt freshman running back Brenden Knox. 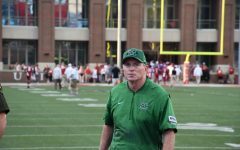 Knox was in the game for injured running backs redshirt senior Keion Davis and redshirt sophomore Tyler King. With 4:39 left in the third quarter, Marshall added to its lead after a field goal by Rohrwasser to make the score 23-13. 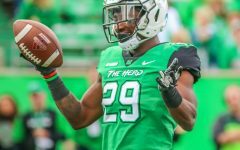 The Herd continued to extend its lead in the third quarter with a touchdown to make the score 30-13. 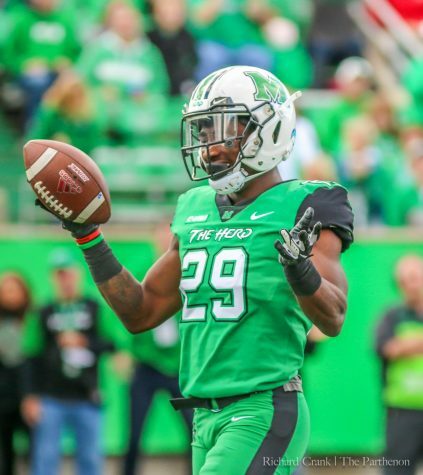 The touchdown was the result of a 10-yard pass by redshirt freshman quarterback Isaiah Green to junior wide receiver Obi Obialo. 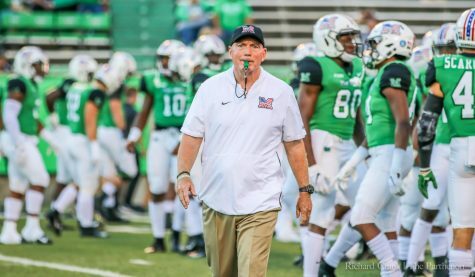 The Herd’s defense had six sacks on the day and ten tackles for a loss. Redshirt senior linebacker Frankie Hernandez had 1.5 sacks and 2.5 tackles for a loss. 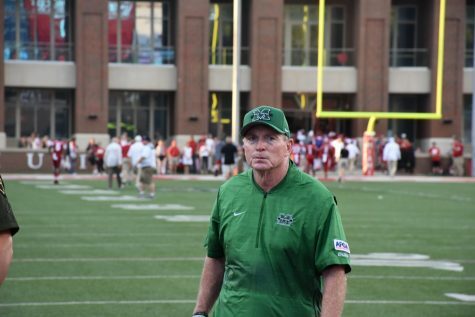 Marshall held the 49er offense to 185 total yards while the Herd recorded 325 total yards. 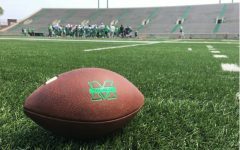 Marshall continues conference play Saturday at 2:30 p.m. as it takes on the University of Texas at San Antonio at Joan C. Edwards Stadium.